« iPhone 6 to Be Released in Mid-September? Apple has recently released the first public beta of OS X Yosemite 10.10. The pre-release version of the operating system for Macs is available for the first million of users who have registered as a beta-tester on Apple’s official website. Those who have already created an appropriate account should have received an email with a download link and some instructions connected with the process of testing. If you haven’t received an email yet, I suggest that you should check your mailbox once again or contact Apple. 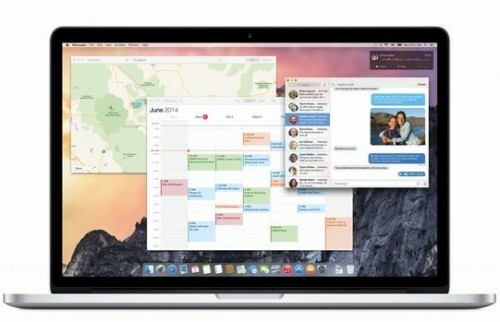 Apple has released a public beta of OS X 10.10 Yosemite, the company's upcoming operating system set for release this fall. Installation of the public beta is done through the Mac App Store using a special redemption code. Apple is rumored to be releasing the gold master of Yosemite on October 10th. The new OS X Yosemite beta can boast of deep integration with Apple’s upcoming iOS 8. Apart from that, it contains a number of new features, stability improvements and bug fixes. Have you registered as a beta-tester? If so, what do you think about the new version of the operating system for Macs?